Two people have been arrested following a serious assault in Whitburn, West Lothian. 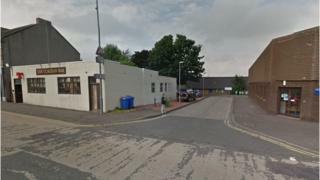 It follows the discovery of a 28-year-old man with head and facial injuries in Weavers Lane, near the Clachan pub, at about 19:30 on Saturday. The man was taken to the Western General Hospital in Edinburgh where he continues to be treated. Police said a 35-year-old man and a 39-year-old woman were in custody in connection with the incident. Det ch insp Paul Batten said: "We ‎are still working to establish exactly what has happened during this assault. "Anyone with information that can assist our ongoing inquiries should contact police immediately."